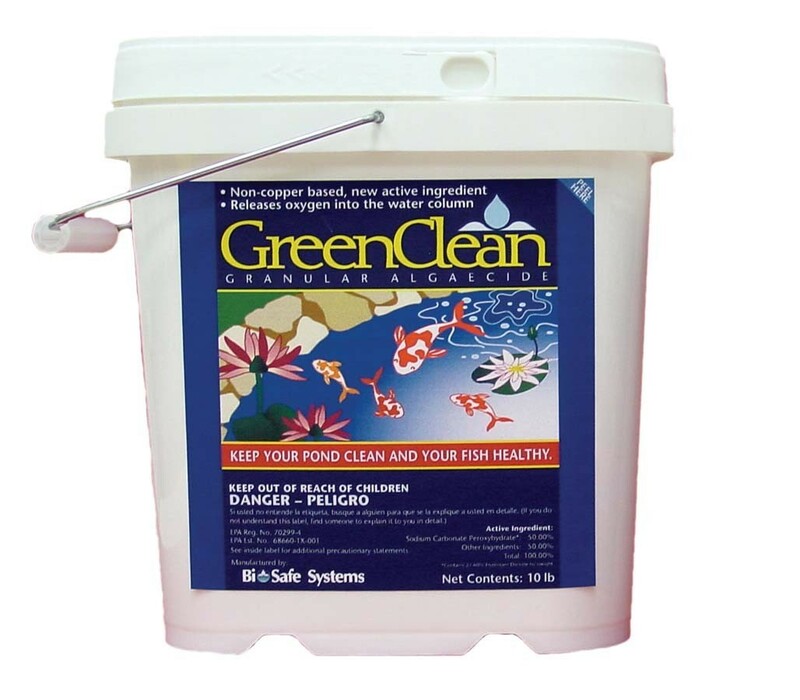 We recommend GreenClean for smaller ornamental fish ponds and water gardens especially where Koi or other exotic fish are present - safe for fish and other aquatic life. 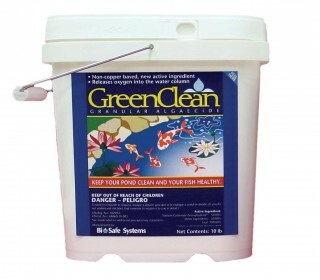 The effects of GreenClean are immediately apparent as algae begins to bubble and disclolor. As GreenClean biodegrades it releases vital oxygen into the water. Spread granules by scoop or hand spreader. After initial control is achieved use low dose maintenance treatments to maintain clear water or before algae appears in the spring. There are no water usage restrictions following treatment. **Suggested Label Rates for Heavy Algae - 30 to 150 Lbs Per Acre Ft. The GreenClean Product Label is available for download in pdf.